What is Modernism? In architecture, it’s defined as a design language with an emphasis on form rather than ornament; structure and materials rather than picturesque constructions; and the rational and efficient use of space. The modern movement in architecture in the United States flourished beginning in the 1930s and encompassed individual design movements that expressed modern ideals in different ways, including the International, Expressionist, Brutalist, New Formalist, and Googie movements. Technical innovation, experimentation, and rethinking the way humans lived in and used the designed environment, whether buildings or landscapes, were hallmarks of modern architectural practice. While the highest-style examples of modern architecture in the United States typically date to the early- and mid-20th centuries, Modernism continued to influence everyday and vernacular design well into the late 20th century. Famous Modernist architects include Frank Lloyd Wright, Philip Johnson, Ludwig Mies van der Rohe, Eero Saarinen, and more. You’ll also see stories here about buildings and landscapes from the recent past -- a moving window encompassing places constructed or designed in the past 50 years. Because federal, state, and local preservation programs typically exclude properties less than 50 years old from historic designation programs and review processes, many historically and culturally significant properties are left vulnerable to demolition, neglect, and other threats. 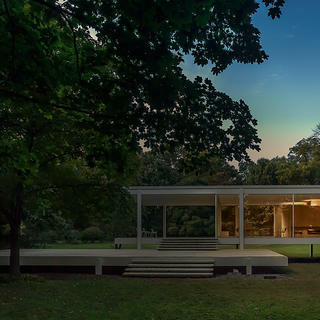 Fortunately, places both from the Modernist era and the recent past still have tremendous power to inspire, which is why we at the National Trust are using all the tools at our disposal -- from our network of historic sites to our 11 Most Endangered List to our National Treasures portfolio -- to raise awareness and support. (Even our headquarters reflects our commitment -- you can find us in the famed Watergate complex, a masterwork of Italian Modernist Luigi Moretti.) Read on to learn more about these inventive and meaningful places.